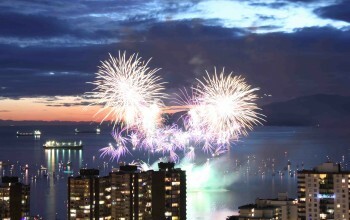 Every year near the end of July, Vancouver experiences a 4-day fireworks spectacle that rivals most international fireworks competitions. Since 1990, the residents of Vancouver and the Metro Vancouver have been able to look forward to this incredible show, as they line the beaches, parks, and hills that surround Vancouver’s English Bay to catch the show. As a matter of fact, it brings nearly half a million people, from all over Vancouver’s Lower Mainland (Metro Vancouver, 2010 Est. population 2.7M). The fact of the matter is that for retail businesses in the West End, English Bay, and Kitsilano, the fireworks mean a huge boost in sales. Further, corporate sponsorship of the event changed drastically in 2008 when HSBC withdrew as the principal sponsor, forcing the event to look at a multiple sponsor model. While for most students of SFU Graduate Business these four shows spread over two weeks mean four nights off and some great entertainment, others see it as an opportunity to have something in common with a local Vancouver business. 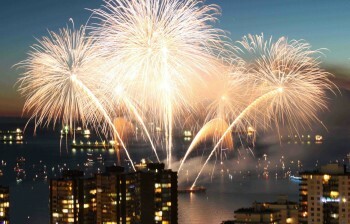 The Vancouver Celebration of Light is sponsored by companies such as The Keg, London Drugs, HSBC, Concord Pacific, FCV (an up and coming interactive agency), BC Hydro, and the YVR airport. With such an impressive sponsor line-up (these are BIG BC businesses) it would be wise for a newly minted MBA student to get involved as a volunteer with the logistics and organization of such a huge event. The SFU Business’ Career Management Centre highly encourages volunteer involvement with local events and charities. This is one of the easier ways to gain exposure and come across as a hard worker in the eyes of potential hiring managers. Another example of a great event to get involved with is the Vancouver Canary Derby. The Canary Derby is a soapbox race, held in Burnaby’s Deer Lake Park, that raises money for research toward early cancer detection. The race teams consist of local Vancouver companies, many of which are in growth phases and rapidly hiring staff. The extra exposure in a volunteer situation may just give someone that boost of a familiar face once the interview comes. For others it may provide an interview opportunity where one might not have previously existed. To read more about the Canary Derby or get involved you can visit the Official Canary Derby Site. I also encourage you to read this past post by A Few Good Minds MBA Blog. Previous story Ambush Marketing: Do They Teach This Stuff at Biz School?